A new version of ADL’s Enviro400H hybrid double decker is to be unveiled at Coach & Bus Live at the NEC on 30 September. According to ADL, it will be more fuel efficient, generate fewer emissions and be more competitively priced than any vehicle in its class. It will initially go into service in London, backed by a multi-million pound order that will see 19 purchased by Arriva enter service on route 78 in the capital by November. Branded as the Enviro400H City, the new two door bus builds upon the Enviro400 MMC (major model change) that was introduced in spring last year. The latter vehicle was developed over a three year period in conjunction with dozens of operators, drivers, suppliers and transport organisations. It was hailed at its launch as the bus ‘designed by the industry for the industry’. The Enviro400H City ‘brings together elegance and practicality’ and its ‘contemporary’ new look features a ‘raft of sophisticated, yet pragmatic’ design solutions. 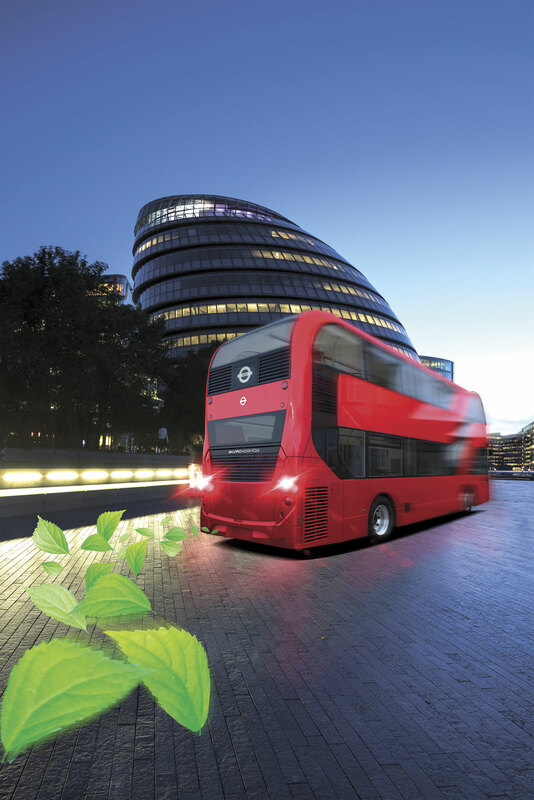 The 10.4m Enviro400H City will be capable of carrying 90 passengers and will be powered by the Cummins four-cylinder, 4.5litre iSBe engine. It will also have BAE Hybridrive technology with the latest generation Lithium-ion battery technology. Having been in development for approximately 12 months, it is now available to order.